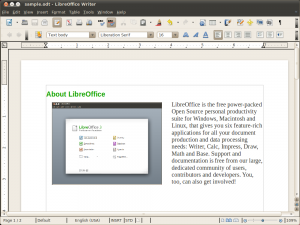 LibreOffice is the new open-source office productivity suite for GNU/Linux (well not just for GNU/Linux actually, it’s a cross-platform office suite that works in MS Windows and Mac Osx as well). Although by default it works really well with most of the major GNU/Linux desktop environments but from the beginning it had problems while integrating with the “application-indicator” protocol (also known as the “global menu” which was invented by the Ubuntu Unity desktop module. This continued for a long time now actually (like almost 6 months if I’m not mistaken), but the good news is that the recently released version 3.4.3 comes with full support for the “global-menu” + few hours ago the 3.4.3 was ported into the LibreOffice PPA which makes the installation/upgrade a breeze for Ubuntu users. Unless you haven’t used the 3.4 version there aren’t major UI improvements but according to the release notes page few bugs have been fixed as usual. The global menu extension actually comes from the Ubuntu developers rather than the LibreOffice team (obviously). Although packages for Ubuntu 10.10 or 10.04 aren’t yet updated but I think they’ll provide the packages in the upcoming days, perhaps. 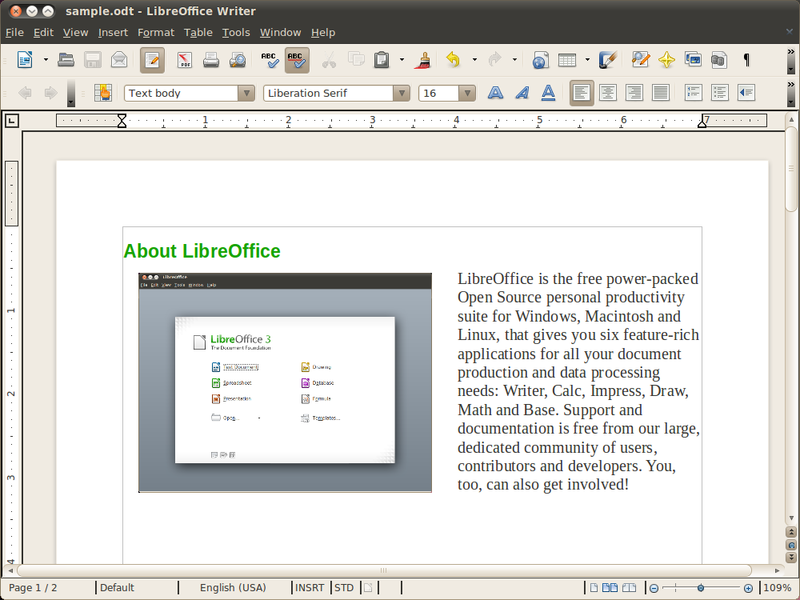 You can install LibreOffice 3.4.3 in Ubuntu 11.04 Natty Narwhal (including the English language pack) pretty darn easily thanks to this PPA nonetheless. As usual, open your command-line window and spam the heck out of it by using below commands. If you have had removed LibreOffice for some reason, then replace the third command with the below one. I actually don’t remember the version that’s gonna come with the 11.10 but, even if it comes with a latter version hopefully the global-menu could be enabled since they’ll releasing an update for the Oneiric users without a doubt as well. Anyhow, for all the 11.04 users, thanks to this PPA, now you can enjoy the most latest version of this open-source office productivity suite with as little hassle as possible :).